We also live in Hull. Providing you with bathrooms that you can be proud of. A big thank you to the guys at Galaxy. Absolutely in love with my new bathroom. We get started on the best solution for your new bathroom. Your new, welcoming bathroom is ready whenever you need it. There's nothing quite like a brand new pristine bathroom. You'll truly cherish every minute spent in it. I know you guys are good, but I didn't think the bathroom would end up being my favourite room in the house! Thanks again, money well spent. Usually around a week, but it depends. It all depends on how much work there is. With all our experience, we’ve become brilliant at estimating the duration of a job depending on what’s involved. We keep you in the loop so you always know what’s going on and what’s left to do. I have one bathroom. How will I function? We’ll always discuss how to both get the bathroom done as efficiently as possible, yet have your bathroom be usable for certain times of the day or at least at the end of each working day. Do you deal with everything plumbing related? We bring in trusted gas safe registered engineers that we always work with. This is a guarantee as the safety of your home is a critical part of our service. Looking for bathrooms in Hull? Galaxy Interiors is a bathroom fitting, design and installation service based in East Yorkshire. We mostly help clients with their bathrooms, whether this is designing a bathroom for them, installing a pre bought ‘fitted bathroom’. Or just filling in a job to help out with a task like the plumbing of the tiling. Either way, we’re always happy to help if you need us. At Galaxy, we want your bathroom to be the place you go for a relaxing pitstop. There’s no reason to have a bathroom you don’t like, your family doesn’t like and your friends like even less. We’re particularly different to other fitters because we bring quality to every job that we undertake. We mean that, for every single bathroom fitting job we carry out, we guarantee quality from start to finish. The materials we use are some of the best around and we always get the best for your budget. The workmanship has been developed for years. The variety of skills is also largely unrivalled as we can walk into any home and turn a space into a fully bespoke, totally functioning bathroom from scratch. You can always go to our bathroom showrooms if you want to see any parts or supplies in person. The name of the shop is currently Guildford Joinery as opposed to Galaxy Interiors as we have switched brands recently. We didn’t feel that Guildford Joinery gave us the correct perception of quality that we bring to every single bathroom job in Hull. Not only do we fit bathrooms seamlessly, including all of the plumbing and electrical work, we can also design bathrooms from scratch. This is helped by our background in joinery and our expert team that surrounds us. We can call in the best tilers, the best plumbers if we really have a problem and the guys on the team in general are excellent craftsmen. Get in touch if you need bathroom fitters that can do it all. 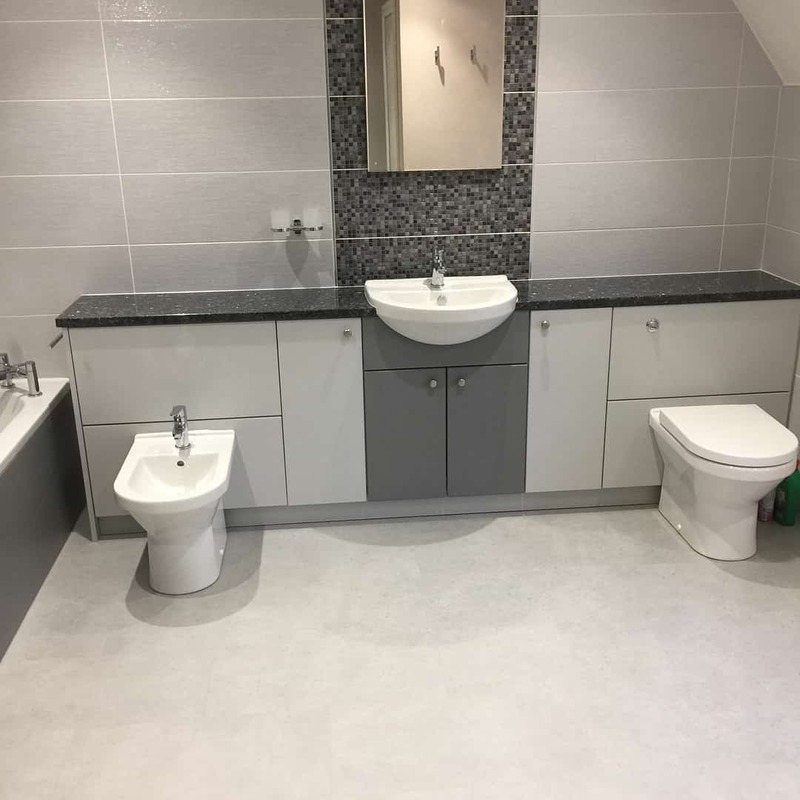 Whether you need us to take care of the whole project, take over from someone else’s work, design and install or want to simply check out our bathroom showrooms, Galaxy Interiors is here to help.